This tool is so easy to keep clean and the tip is excellent for all types of bonds. 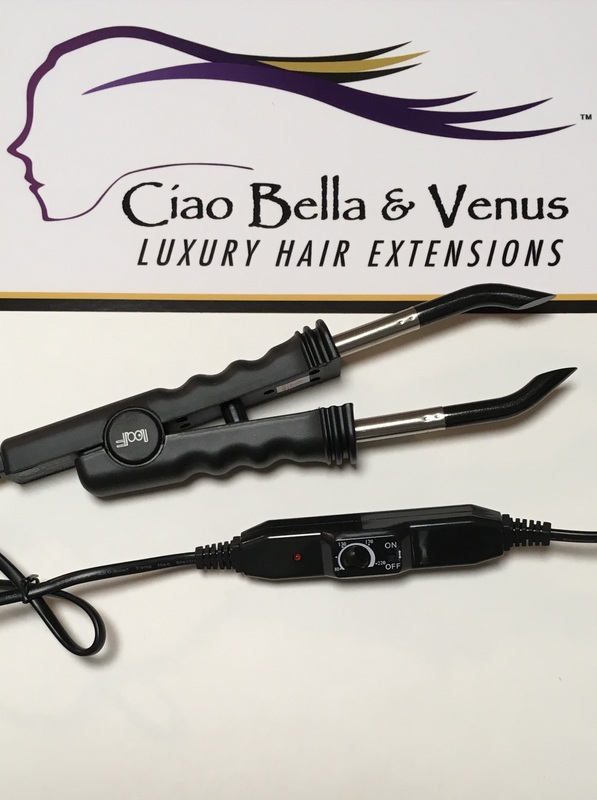 The slim tongs are durable yet lightweight and best of all these are ergonomicly correct for the comfort of the Hair Extensionist. This tool has an adjustable thermostat for meeting the requirements of any "heat" fusion bond. No more bumping the on/off switch on the hand piece. The control is on the electrical cable and away from the hand piece itself. Choose your favorite color.